How Can I Save Money At The Garage? I’m sure you’ve all heard the story before: Somebody goes to a garage after a positive referral from a friend, only to find themselves being charged a completely different cost for the exact same service. At Tivoli Auto Services, we do not take advantage of people’s vulnerability whatsoever. Below, we have listed 3 ways to save money at the garage. With these tips, you can take back control and feel empowered as you take your car in for maintenance or servicing. Let’s get started! I wanted to start off with one of the simplest and most effective ways to save money at the garage: By eliminating the need to go, you can save yourself an absolute fortune! Garages can charge you just for checking your oil level, but this 30-second job can be done by anybody. Simply park your car on a flat surface and wait for a minute to let the oil settle. Then, pull out the dipstick (usually an orange handle), wipe it clean, re-insert it, pull it out again and see if the oil on the stick is within the minimum and maximum levels. If it is, great! If not, just top it up and check the oil level again. Below, you can see a short video from Audi explaining how to check your oil and fluid levels. Don’t worry about the brand! All cars are built similar, so you can still learn no matter what brand you drive! It’s a legal requirement to keep your tyre tread within the legal limitations. This limit is 1.6mm for the middle three-quarters of the tread and the same depth for the entire outer circumference. 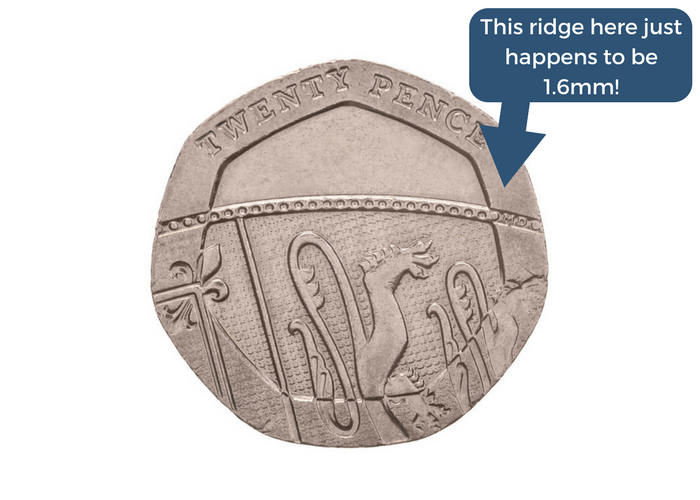 The outer ridge on the face of a 20p coin just so happens to be 1.6mm, so you can use that to check your tread. Save money at the garage by not going in the first place. Check your tyres yourself for free rather than being charged for it. Have you ever heard of the Cornflakes comparison? 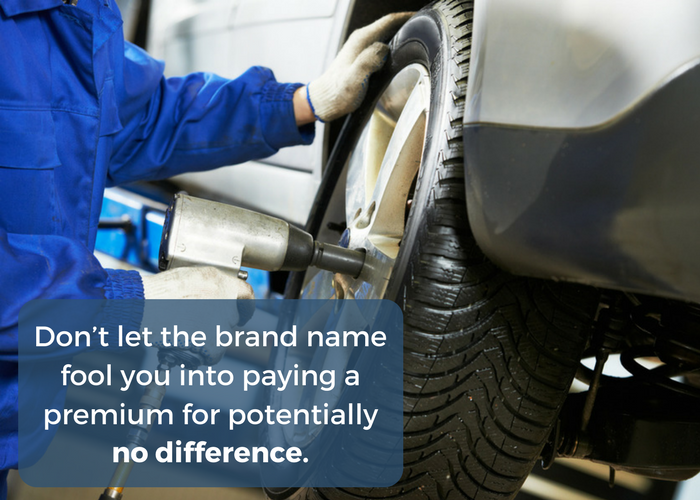 The idea is that people pay the extra for a premium brand name over a lesser-known one, even if there is little to no different between the 2 products. This can also be applied to car tyres: Tyre manufacturers are required by strict laws to meet particular safety and performance criteria; therefore, the cheapest tyre could still be considered safe. Furthermore, some tyres branded with a lesser-known name are actually made by the premium brands! We hope that these tips have helped you to feel empowered and confident next time you go to a garage. That little bit of extra knowledge can be a huge help in getting problems diagnosed and solved quickly while, more importantly, helping you save money at the garage. Don’t forget to check us out on Facebook and Twitter for more tips and advice!